We offer you several different ways to view as a group. Please review the options below for the process that best suits your group. If you would like to sign up a group to watch a Video On Demand with CE, please fill out this form instead of following the process below. If you have between 2-9 registrants who wish the view a Live Webcast together, please follow the below steps. If you have more than 9 registrants in your group, please fill out this form instead. How do I allocate registration to other users for a single course? | How do I purchase multiple courses for multiple users? Please follow the steps below if purchasing for multiple users. Once you have all the courses you’d like to purchase in your cart, hover over the ‘Cart’ box located in the upper right hand side of the navigation bar and click the ‘Go to Cart’ button. You can use the ‘Qty’ dropdown button to choose the Quantity for each item in your cart. Once you have the desired amount for each item, please click the ‘Proceed to Checkout’ button. For groups of 2-9 viewers, a 10% discount will automatically be applied. The following page will either ask you to sign in or register (if you have not done so already) or will auto-fill information about your account if you are logged in. This page will show you each item you have in your cart, the quantity chosen for each item and will provide fields to assign an item to the Additional Registrant(s). The first registrant for each item will auto-fill the current account information, however this can be changed if you are not registering yourself by clicking the 'I am registering for someone else' checkbox. If the additional registrant does not have an account, we will create an account for them and send an email letting them know how to access the seminar(s). Please be sure to verify the accuracy of each assigned email address before continuing. After filling out the required information and clicking the ‘Continue’ button, a pop up will appear letting you know how the additional registrants will access their account and course(s). Once you have entered the payment information, the following screen will show you a receipt and options for the purchased courses. If the additional registrants view the webcast as a group, how do the individuals earn CE? As with every live webcast, unique code letters will be displayed throughout the webcast which need to be kept track of. 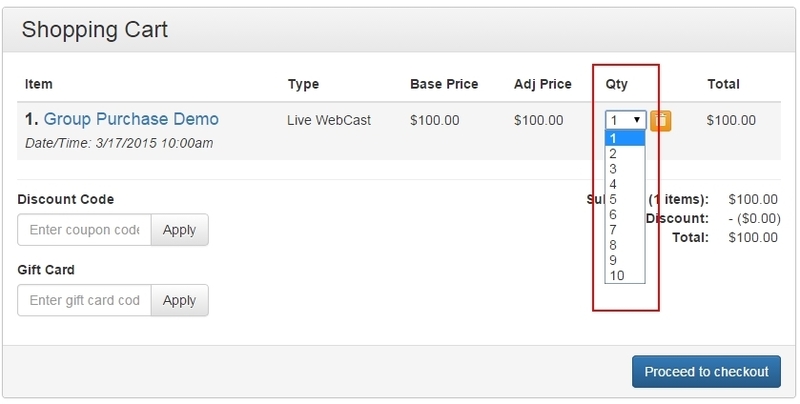 If a group has viewed a webcast using one ABEN account, that user will enter the unique code letters by clicking the "Certificate" tab. The additional registrants can earn CE by logging into their individual ABEN account and find the just viewed seminar under the "Pending Seminars" tab and then enter those same code letters under the "Certificate" tab. All registrants will receive email confirmations of registration. For registrants who don't have an existing ABEN account, an account will be auto-created and the registrant will receive a welcome email as well as information detailing that a seminar has been purchased on their behalf. The purchaser will receive an order confirmation. If the purchaser is also a registrant, they will be able to access their account as normal through My Account. Only the purchaser will receive the order confirmation unless the 'Send Additional Email Receipt' field was used.